Click Thru Rate, a common metric associated with AdWords, calculates how many times an ad was clicked on, versus how many times the ad was shown. While click thru rate can be helpful in certain aspects of ad creation and account management, overall the metric doesn’t hold much importance. For one, the information it can give an advertiser is limited to ad relevancy and features of the ad itself. I hear many advertisers ask the same question a lot about “What is considered a good CTR” Besides that question being an impossible one to answer, it may also indicate an advertiser isn’t collecting the right data or is preoccupied with the wrong data and will have a hard time in the long run being successful. To me a better question and one that I’ve always wondered is what is a good conversion rate within my industry or amongst my competition. I know what my conversion rate is but without something to compare it with, it too falls short of providing any useful data. However focusing on bringing that metric up to it’s highest level is where most of my effort goes in any AdWords campaign. One thing that is certain about that metric is, the higher the better. This is not true of Click Thru Rate though. I could have a higher than average click thru rate, but if none of those clicks are converting than that “high” click-thru rate is actually costing me money. To me a high performing campaign is one that maintains the highest conversion rate at the lowest possible cost. CTR has almost nothing to do with that. Though CTR may provide me with some indications where my ad is lacking relevancy and I’m not getting the most clicks possible – I could still be maintaining a high conversion rate and low cost per conversion. I often wonder why so many people are concerned with this metric and what they are using that data for exactly. After understanding how a high CTR can actually hurt an advertiser, one should note the unreliability of this metric to provide any worthwhile data other than the quality of a keyword or ad. However even those stats are unreliable since the true value of a keyword or ad should still come from the ability to convert the clicks into sales. Again the metric falls short of providing any useful data. The new ad format for AdWords, while losing its real estate on the right-hand side of organic searches has actually gained a great deal. Take a look at the search I did for “buy shoes.” Note, the first result above from Zappos. That’s a lot of real estate they’ve garnered for the cost of 1 click. Even the ad below it is more lines than your typical paid ad. 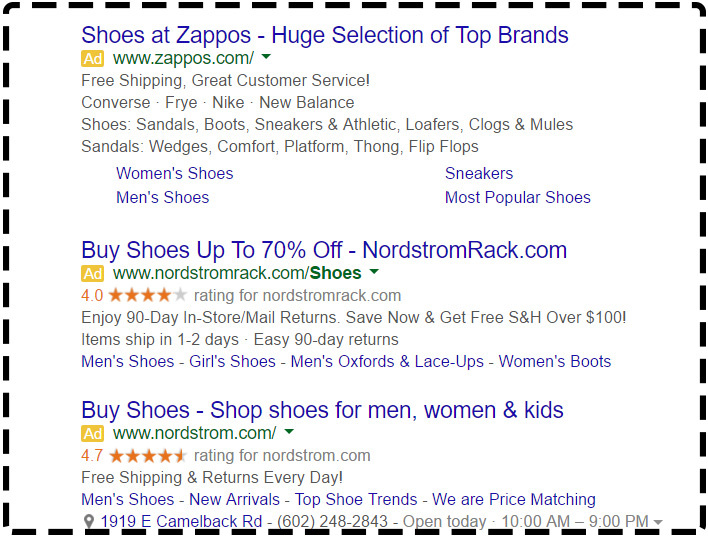 Rich snippets are another feature that paid ads have gained. Note the 2nd and 3rd result have ratings. By adding rich snippets to their website code (a feature also available to the organic advertiser), these sites are able to gain the addition of their google reviews added to their ad. Notice anything else? How about how the paid ad listings are beginning to blend in more with the organic listings? Aside from the now very small square that says “Ad”, they look very similar to the other non-paid listings. It appears their new placement on the left side with the other results may be part of a strategic plan for Google. It seems they are trying to skew the typical percentages of clicks on a page in favor of the paid ads, since they currently do not get clicked on as often as the organic listings do. At least they didn’t when they were on the right hand side. I am guessing that has changed considerably with their new left-side location. These new Paid Ads show at the top, sometimes middle and bottom of the organic results, omitting them from the right hand column altogether, is just one of the many upcoming changes to paid ads that will eventually even out the percentage of clicks each advertiser type gets. Historically, the organic results have received the largest majority of clicks, but that is likely to get closer to a 50/50 split and if placement has anything to do with that, the paid ads will be at an advantage. For the organic advertiser, click thru rate will be an important metric to fine tune against some increasingly challenging competition. For years now we’ve seen the organic listings lose their prime page placement to increased map listings that started with a few but now sometimes have 7 listings, pushing the 1st organic result below the fold. In order to see the first result a user has to actually scroll down the page on some searches. Now we are seeing paid ads getting longer. Not just a little longer – a lot longer. While the changes have been somewhat slow and spaced out over the last few years, if you add them all together they equal one glaring fact. Google is pushing for more advertisers in PPC. While this is not surprising, it could mean a few unwelcomed changes for organic and paid advertisers. Costs are likely to begin increasing as more advertisers sign on. In order to keep costs down and still capture clicks advertisers should pay special attention to ad relevancy and a well organized AdWords account structure that contains as many ad groups as there are products and possibly more depending how finite you think is necessary to get. For the organic advertiser with less control over which listing will show for which keyword, good onsite optimization will be key to ensuring you are relevant within a given search. Less overlap of multiple keywords for product pages will be essential. Considering at least some paid advertising may not be a bad idea to map out keywords to certain pages. Even if you don’t have a lot of dollars to put into paid advertising, the smallest amount might be helpful for providing a road map for google while increasing your revenue at the same time. This is without mentioning the invaluable data you get from running a pay per click campaign. For this reason alone, it is a worthwhile form of advertising especially if you are just getting started online. The data you gather in the process can reveal the products in which you gain the most revenue from with the least amount of effort and money, and which products will need additional promotion, or better site visibility in order to increase sales. This data could take months, even years to figure out organically and if you consider time is money – well then you get my point. If you’ve never tried pay per click (PPC) advertising it’s probably time you did. Chances are, your competitors are. If they aren’t, that’s even more reason why you should take the opportunity to capitalize on their “slow to respond” marketing strategy. If you are a small business in a market with big competitors then you’ve figured out by now that PPC Advertising is your lifeline. Showing your ad to individuals while they are looking for your service is not only timely, you only pay when they click your ad, which puts your advertising dollars to good use. There are many strategic elements of running a successful adwords campaign and the interface is a bit complicated so hiring a professional to manage it is strongly advised, especially if you want to squeeze the most out of every ad dollar. But PPC Advertising has some additional benefits beyond the obvious that can save time and money for service providers. 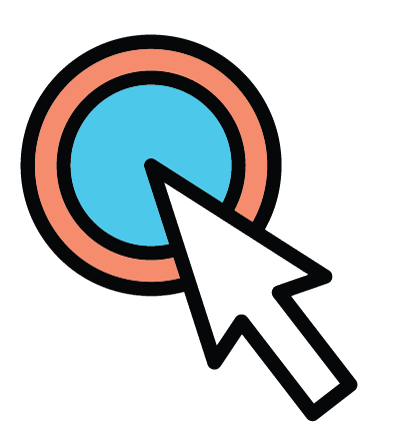 If you’re a service provider who travels to clients homes or businesses across the city, pay per click can offer some unique advantages beyond bringing you new business and keeping your doors open. If you aren’t tapping into these benefits, you may want to consider doing so. Communicate with your PPC manager to discuss how you can get more out of your campaign. By Geo-targeting a location within a reasonable traveling distance from your business and focusing in on that area, you stand to minimize your drive time and costs. This can be a significant savings if you previously were making trips across the city and back, in any given day to service customers. Besides that, it provides you more productivity time in a day to take additional clients. If you have a team of people then assigning them an area and a campaign targeted to that area could provide more productivity for your entire team, and more money in your pocket! This is without mentioning the money you save on gas. This doesn’t mean you can’t take on different areas of the city if you’ve milked one of them dry. The key is working one area at a time. In the campaign set up, advertisers typically choose multiple cities because of course they want to maximize the opportunity. But if you start with one city or location per campaign and only run one at a time you will get clusters of clients within the same general area, cutting back dramatically on your drive times and gas costs. Switching to the next area when you’re ready or when the campaign seems to slow down a bit, is a simple and quick change to make in the campaign. Additionally, you could focus on a particular service you offer. Let’s say you are a plumber and provide a unique service that some or many of your competitors don’t, but you aren’t getting much action or requests for it. You could set up a campaign that targets individuals needing that service. Or you could focus on services that provide you the most ROI and target your campaigns for those services. Moreover, you could promote any current specials to maximize interest and get the word out. Get Our Special Offer For Pay Per Click Now! 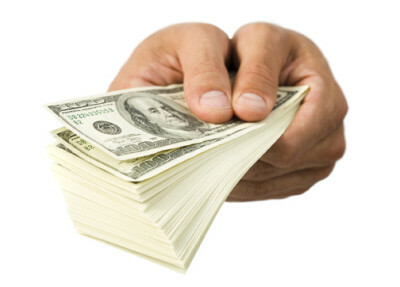 How Polished is your Lead Capture – Would You Bet Money On it? Paid advertising also known as Pay Per Click, is for some, a form of advertising they couldn’t survive without. In a competitive market it may be a businesses only opportunity for visibility on line. This is especially true for small businesses whose bigger competitors out bank them in marketing dollars, affording them the top spots in organic search. You just might go broke trying to keep up. But the reality is, paid advertising can also be a disaster. A disaster is defined as spending loads of cash and getting nothing in return. There are many ways you can help maximize your conversions but there is one important element of paid advertising that stands in a class of its own and in order for it to be taken seriously, it’s important to understand the concept. Preventing Loss in Paid Advertising. 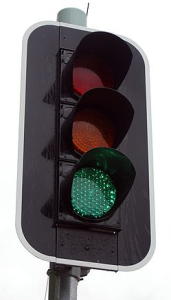 Before you pay money to send traffic to your website be sure it is effective at what you want it to do. In other words, is your offer worth the effort you’re asking of them. Are you competitive in your pricing? This is where you will spend the most time and probably the most frustration. If you have money to spare I would strongly recommend hiring a professional to implement the best lead capture strategy for your business. This can’t be done using methods you know work offline either, the internet is a species of its own. This is not easy. I repeat, this is not easy. Since the “how to” is lengthy and involved you will have to do some research. The methods you use will be different depending on what type of business you have. The bottom line is, you will not be successful in paid advertising until your presentation is polished and your offer so good, it’s nearly irresistible. I feel it’s safe to say that selling anything over $20.00 on the internet is twice as hard to do online as it is offline. It makes sense but you’d surprised at how many are disillusioned by the magic they think the internet is made of. What the internet did was put a lot of information in the hands of your customer. They now have the best research tool imaginable. So if you’re not competitve in your pricing vs offering – I’d advise you to reconsider being so. Consumers these days are extremely savvy. Make sure you are savvier than they are. Remember, your asking people to invest in something they don’t get to feel or touch first. Or you may be asking them to leave their contact info- which is a lot – It’s downright exhausting for internet surfers to read articles let alone type words into fields. Create your presentation for an audience that has attention spans barely long enough to measure. With a simple click of the mouse they could be a million other places more exciting, how can you blame them? If you don’t capture their attention immediately, you’ve lost them – probably forever. Paid advertising, also known as Pay Per Click, is for some, a form of advertising they couldn’t survive without. In a competitive market it may be a businesses only opportunity for visibility on-line. This is especially true for a small business whose bigger competitors out bank them in marketing dollars, affording them the top spots in organic search. You might just go broke trying to keep up using SEO as your only strategy. But the reality is, paid advertising can also be a disaster. A disaster is defined as spending loads of cash sending traffic to your website and getting nothing in return. Before you pay money to send traffic to your website, be sure it is effective at what you want it to do. In other words, is your offer compelling enough and worth the effort you’re asking of your visitors? Is it worth the price your selling it for. Whatever it is you are asking visitors to do, ask yourself if you would do it? Preparing your site to be “conversion ready” is where you will spend the most time and probably the most frustration. If you have money to spare I would strongly recommend hiring a professional to implement the best lead capture and conversion strategy for your website. Sending traffic to a site that isn’t ready to convert traffic is the same action as flushing money down the toilet. How do you know when your site is ready? By testing it. But we’ll save that for another post. Right now our focus is Lead Capture. This is not easy. I repeat, this is not easy. Since the “how to” varies depending on your business and your strategy, you will have to do some research. The bottom line is, you will not be successful in paid advertising until your presentation is polished and your offer so good, it’s nearly irresistable. I feel it’s safe to say that selling anything over $20.00 on the internet is twice as hard to do online, then it is offline. I am not saying there isn’t opportunity; it’s just more difficult then people realize, to capture. Remember, you may be asking your visitors to invest in something they don’t get to feel or touch before buying. Or you may be attempting to capture their contact info, which is, believe it or not, asking a lot. It’s downright exhausting for internet surfers to read articles, let alone type words into fields. Create your presentation for an audience that has attention spans barely long enough to measure. With a simple click of the mouse they could be a million other places more exciting. With ease of transition like that you’d better come up with something good…and quick? You have probably heard this a thousand times but have you really thought about what it means? Targeted messages usually mean that although you may have a very large market, the reasons why people buy your product or service differs on a large scale. So selling to a “general audience” isn’t compelling enough for any one of them to take action. You have to “hit home” and appeal to each and every need separately. Why? Because then that message resonates with them. Expect to have several different market segments and thus separate lead capture pages for each of those segments. These could either be on separate domains or on your main domain as “subdomains.” You don’t have to target all segments at once just make sure to target them individually. 1. Define your market – Break up into smaller segments. Who are they, what are their needs? 2. Create offer for each segment- A page that describes your offer – make it attention grabbing preferably short with a good hook. Most often you have to give something away in return for what you want them to do. An ebook, or how to on something of interest related to your offer. 3. Prepare lead capture pages for each market segment – Do this for each market segment – do not try to target the entire audience with one offer that you think appeals to everyone, it won’t work. 4. Test pages by running similar ads changing one of them slightly to see which performs best. Have anything to add? Would love to hear from you with ideas for creating great lead capture. When most of us think Pay per Click we think ad campaigns that got out of hand, dollars wasted and not too much of anything to show for it. It can be a scary option for the more conservative business owner whose budget is tight and whose ideas therefore are much the same. Truthfully, however, Pay per Click is no more a risk than a fierce battle in the search results and will only become fiercer as more websites flood the internet. While search result ranking is important for longevity and continued business success, Pay per Click is an excellent short term option in the interim, to bring revenue during the lull. What small business owners should know is that most of the time a pay per click campaign will cost you less money up front and bring about the most immediate revenue/results than would fighting your way up in the search results. Assuming you are able to secure a worthwhile spot the time to get there can vary depending how competitive your keywords are. One thing is almost always a guarantee; it will take you no less than a month and up to a year to earn a favorable spot in the search results. On average a safe estimation is 4-6 months to earn a decent ranking within the top 5. Now consider the amount of money spent on seo efforts within that time frame to get a worthwhile spot in the search results. The biggest benefit found in Pay Per Click advertising is the ability to get immediate sales or conversions without too much effort, in essence the campaign most often pays for itself as in the case of product sales. Most often one sale thru a pay per click campaign could pay for a weeks worth of marketing for itself. In addition, and to clear up anyone’s preconceived notions, limits on amounts spent can and most often are set on each campaign, each ad, or each ad group. The chance of wasted dollars getting out of hand is slim. Most pay per click services have safety features built in to prevent such occurrences. 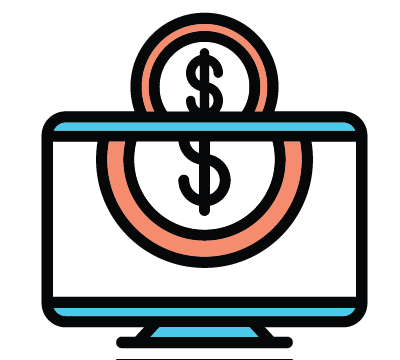 If optimized most efficiently your campaign dollars would also generate enough profit that could potentially be spent on the ranking efforts. So why wouldn’t you have both? Less is Not More – More is More! Carefully consider both options as a means of growing your business. Search results are a long term option for growing your business and once achieved its results are long lasting as long as the website is kept current and fresh. However, Pay per Click is a great short term or long term approach at driving immediate traffic that can and often does convert into sales or dollars earned, very quickly.